SUPERFOOD: Nutrient dense, rich in magnesium and antioxidant flavanols and polyphenols, including anthocyanidin. Contains over 300 important compounds including protein, fiber, fat, certain B-vitamins and minerals such as calcium, sulfur, phosphorus, iron, zinc, and copper. PREMIUM CRIOLLO BEANS: Made from Highest Quality Criollo cacao beans from the valleys of Peru. Criollo beans are very rare and represent only 2% of worlds production. Most sought after cacao variety. DELICIOUS TASTE: Our Raw Organic Cacao Powder is not bitter but has a delicious chocolate flavor with our any added sugar. Age old process of fermentation removes the bitterness of the beans and ensures a perfect chocolaty flavor and aroma. Enjoy its exquisite and rich chocolate flavor. The cacao plant is native to the Andes foothills of northern Peru, but from the West Indies to West Africa and Indonesia is grown worldwide today in equatorial regions spanning. 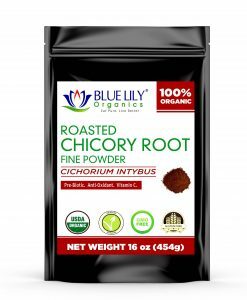 The 100% Blue Lily Organics cocoa powder comes directly from the original source and is made from high-quality Peruvian cocoa beans. To make our 100% cocoa powder, the bean pods of the cocoa plant. We carefully select the bean pods and harvest them from the cocoa plant. The cocoa beans and pulp extracts from the pods and spread in the sun to allow the cocoa porridge to ferment, thereby exposing the cocoa beans. The beans (also called cocoa beans or cocoa beans) then ground to a cocoa paste. The fat cocoa butter removed by cold pressing from the pasta. The remaining solids comminuted again to produce a fine, highly concentrated organic cocoa powder. They are inferior to the organic cocoa powder both in terms of nutritional value and health benefits. In contrast to Dutch cocoa, the organic cocoa powder from Blue Lily Organics was processed very poorly and no chemicals were added. Since no heat used during the treatment, our organic cocoa powder considered raw food, while preserving the nutrients. Although, this process intends to make the cocoa powder more attractive to consumers. Many of its health benefits are sacrificed. Not only does the altered pH level of Dutch-process cocoa make it impossible to use in recipes containing baking soda, but the chemical processing also removes many of the antioxidants that lend raw cacao powder its power as a superfood. Dutch process cocoa powder can contain 60% to 90% less antioxidant than raw cocoa powder. Organic cacao powder is one of the most nutritionally-complex foods found in nature and is packed with over 300 nutrients including calcium, magnesium, iron, vitamin E, vitamin K, B vitamins thiamine, niacin, riboflavin, folate, and vitamin B6. With only 12 calories, 1 gram of fat, 1.8 grams of fiber, and a minimum quantity of caffeine (approximately 12 mg) per tablespoon. It makes a tasty and nutritious addition to any diet. Perhaps the most powerful superfood known to man, other components found in 100% cacao powder includes quercetin, xanthenes, polyphenols, theobromine, and flavanols – all of which provide unique health benefits. Raw Cacao far surpasses other so-called superfoods like blueberries, red wine, and even green tea as a source of antioxidants – and the numbers are staggering. While raw cacao powder filled to the brim with more than 620 different antioxidants, blueberries only provide a paltry 32. That’s not all: organic cacao powder can contain as much as four times the antioxidants found in green tea! Organic cacao powder’s amazing array of nutrients supports its reputation as both superfood and natural medicine. Its impressive antioxidant profile makes it the best natural option for cardiovascular health benefits. 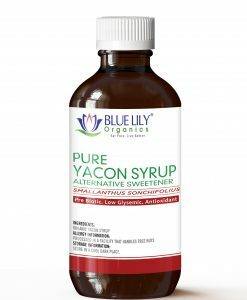 It helps to maintain a healthy immune system and protecting against oxidative damage from the environment and other sources. Raw organic cocoa powder can even help to maintain healthy glucose metabolism. 100% organic cocoa powder has traditionally used as a digestive aid. Its tart nuances stimulate the taste buds, which control the excretion of digestive juices, thus promoting healthy digestion. In addition, the raw powder contains special components such as phenylethylamine and anandamide, which contribute to its reputation as a mood lightener. If you’re searching for an alternative to coffee. The small amount of caffeine in raw cacao offers a nice boost that complements by components like magnesium and valeric acid. It simultaneously helps to soothe the nerves. Blue Lily Organics Raw cocoa powder gives all desserts a delicious taste and health benefits, from pastries to ice cream. Mix raw cocoa powder with your favorite fruit and vegetables in a nutrient-rich smoothie for a natural morning pick-up. The fine texture of our powder makes it ideal for mixing drinks such as almond or rice milk, whole milk, coffee or even water. Combine raw organic cocoa powder with fruits, nuts, and other healthy ingredients to make your own nutritious snack. Blue Lily Organics 100% cocoa powder can also be spread directly to all foods for a healthy effect. For even more incredible antioxidant benefits with the powder, use it outdoors. Make a cocoa face mask by mixing the powder with water and applying to the face and neck to allow it to dry before rinsing. 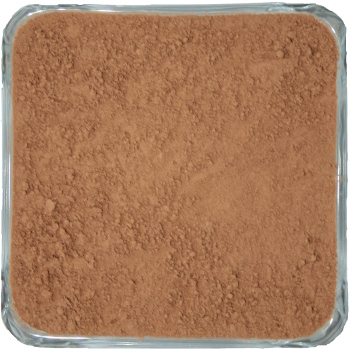 Cacao Powder should store in an air-tight container in a cool, dry place. For optimum potency, avoid exposure to sunlight. The life of the powder is about two to three years if properly stored. Cooling in an airtight container extends the life. Blue Lily Organics Raw organic cocoa powder is raw, eco-friendly and without genetic palms. It respects the skin rules. It grows naturally without pesticides or artificial additives. 100% certified by USDA Organic.